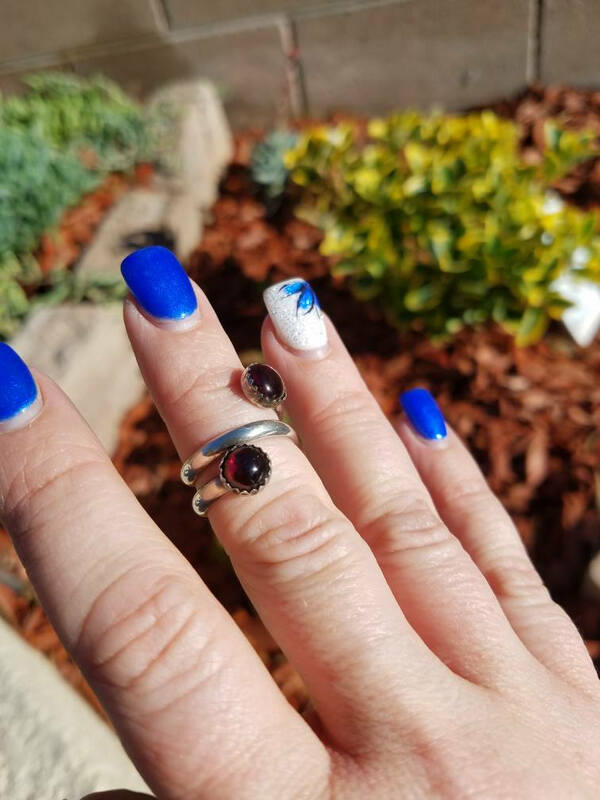 Garnet and sterling silver ring size 7 . 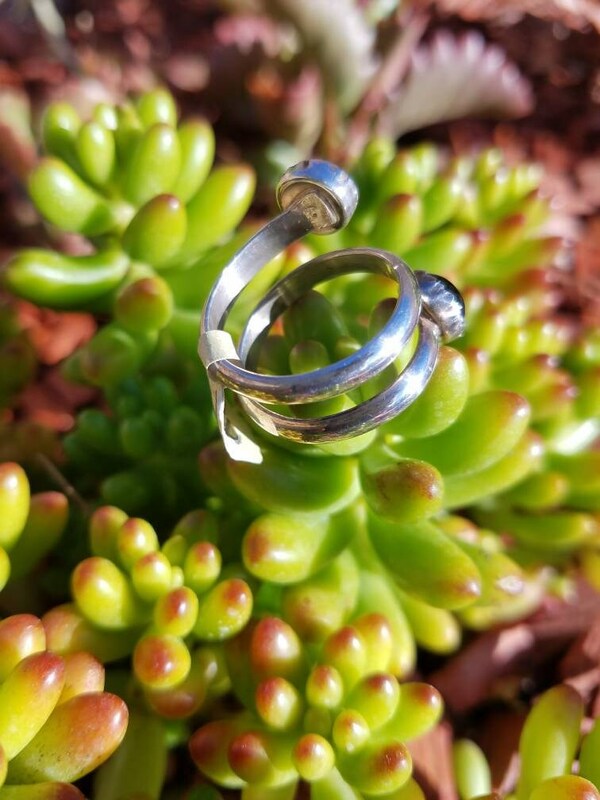 This ring wraps around your finger for a super awesome look ! 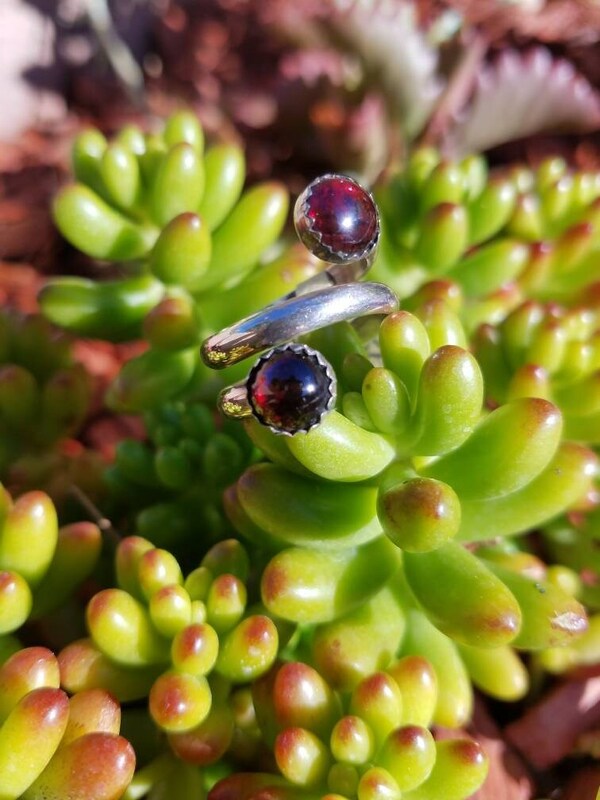 Two garnet stones set in silver , simply done yet so interesting. 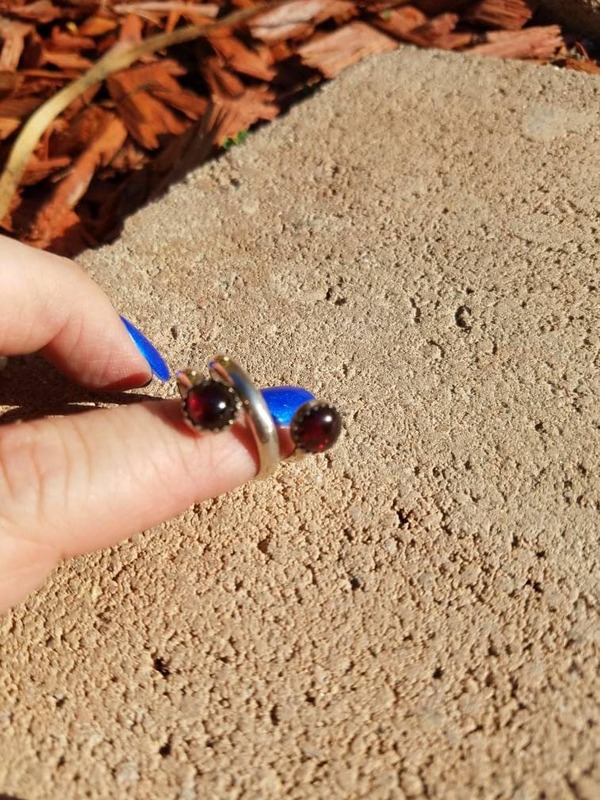 The ring is about 3/4 of an inch in length .